CarComplaints.com Notes: The 2015 Ford Edge has a trend of the engine dying while driving, which is typically considered a safety issue. Owners report the stalling while driving problem is caused by the throttle body needing replacement. The problem typically occurs at low mileage & so the issue has been covered under warranty -- although by now, the 2015 Edge is generally past the full warranty period. No one has added a helpful site for this 2015 Edge problem yet. Be the first! Discovered that Vista Roof is cracked near the front. Yes, it has high mileage, but I drive and treat car very carefully. And I bought the extended warranty. I immediately took it to Walnut Creek Ford, and was told it was denied under my Extended Warranty. And now I'll need to leave car for 3 hours for them to determine cost to repair. There is no indication of a rock strike. What's the purpose of an extended warranty if it doesn't cover anything? I see others are having the same problem. This will be my first and LAST Ford. On Friday 7/30/2018 I noticed the crack, I quickly checked the web and found other owners have this issue. It's booked into Ford today and they said not covered under warranty as it is over 12K. 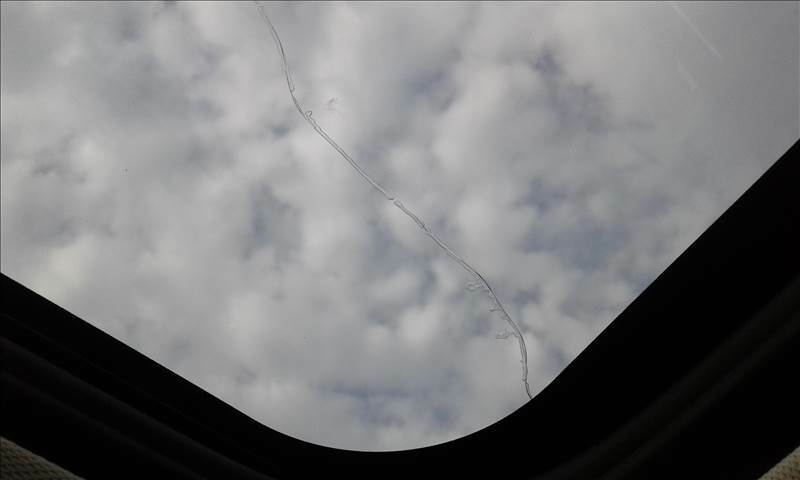 Nothing damaged the roof, there are no impact spots and the crack seems to be in one area towards back of glass roof. Ford dealer states $1200+ to repair :( I have called Ford Customer Care 800-392-3673. Ford DOES NOT stand behind this defect. I have extended warranty and still not covered! :( so disappointing. are denying any warranty repair because the car is 100 KM over the 60,000 Kilometers. 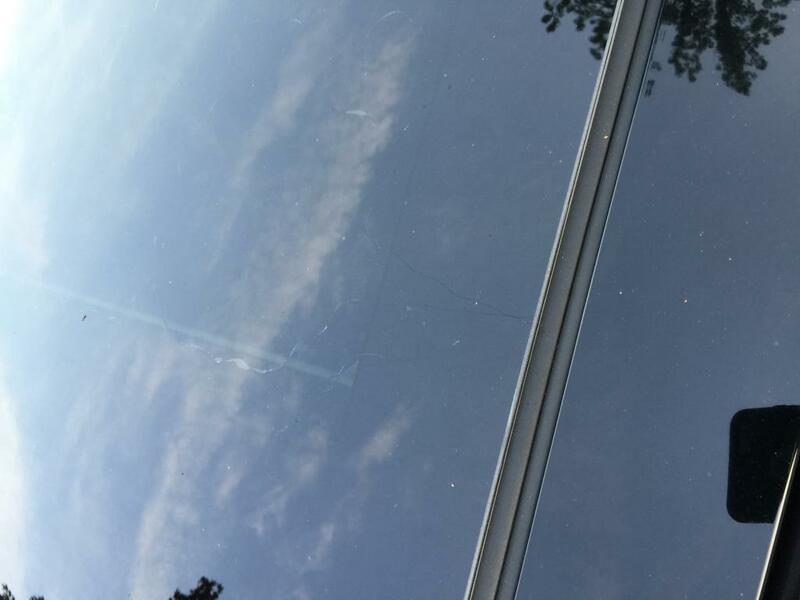 for anyone buying a 2015 Edge with a moon roof to make sure that no cracks are showing. I opened my vista moon roof this weekend to discover that the glass was cracked the entire way front to back. There is no reason this should have happened. Vehicle is garage kept and I park in an open parking lot at work. I called the dealership since I only have 33K miles and it is just under 2 yrs old. I have an appointment next week for them to take pictures and submit to Ford to see if they will cover it under warranty. Still no official recall on sunroofs! I am hopefully lucky since at 26K still under warranty heading to dealership today for them to take pics and submit to Ford. Going to Ford dealer 11/28/16 to get an opinion. Will ask for warranty repair. Update from Oct 2, 2017: Warranty was denied by 2 Ford dealers. I had to pay over $1,000.00 to fix the car. 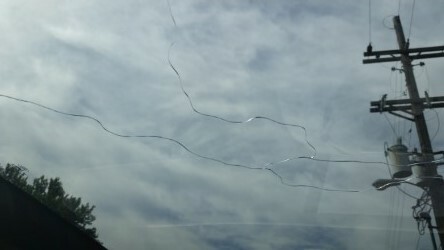 I opened my sun shade panel and discovered a jagged crack extending from the front to back of the moon roof glass that opens. There is no sign of impact or anything nearby that could have fallen on it. I went into a Ford dealer in Lakewood and was told that he has seen a few of these over the past few months, and Ford knows they have a problem. Because I have over 36,000 miles on my car, he said it would not be covered by warranty. Really? The car is only 16 months old, and Ford is aware there is a problem but, because of my millage I'm on my own with this. Ridiculous! 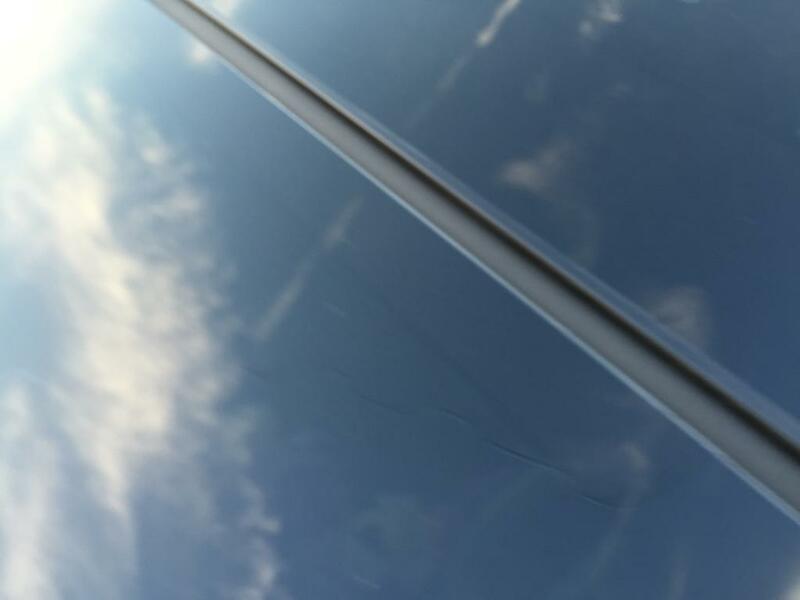 On Friday 7/8 I noticed the crack, I quickly checked the web and found other owners have this issue. It's booked into Ford to check this week. Nothing damaged the roof Parked outside work) , there are no impact spots and the crack seems to have started in two separate area. 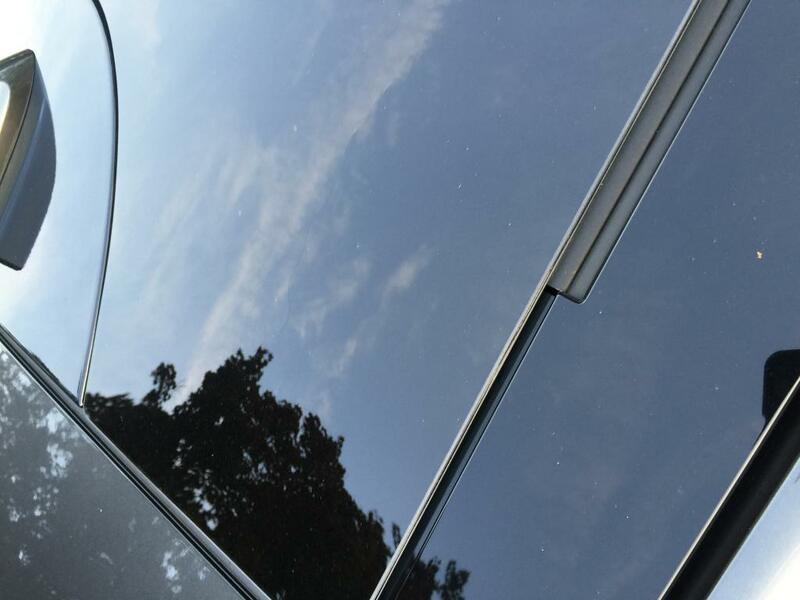 Update from Jul 15, 2016: July 15th, Good news, Ford have agreed to replace the glass roof panel under warranty. Not sure when the large front panel of the Vista roof glass fractured but we were shocked to find it on Saturday June 25, 2016 when we opened the shade. Fracture has multiple starting points with no point of impact leading everyone to believe it is either a glass defect or a temperature expansion/contraction problem. Ford so far has stated they will replace under standard warranty, but glass is not stocked and will take about 1 week to receive in house and then will need to take in for repair. 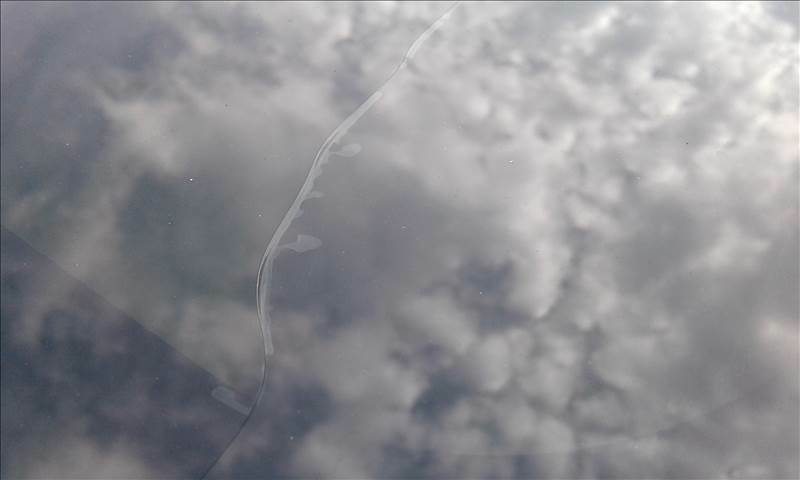 We stuck carpet mastic on the bottom of the glass to prevent shattering until repairs could be made. 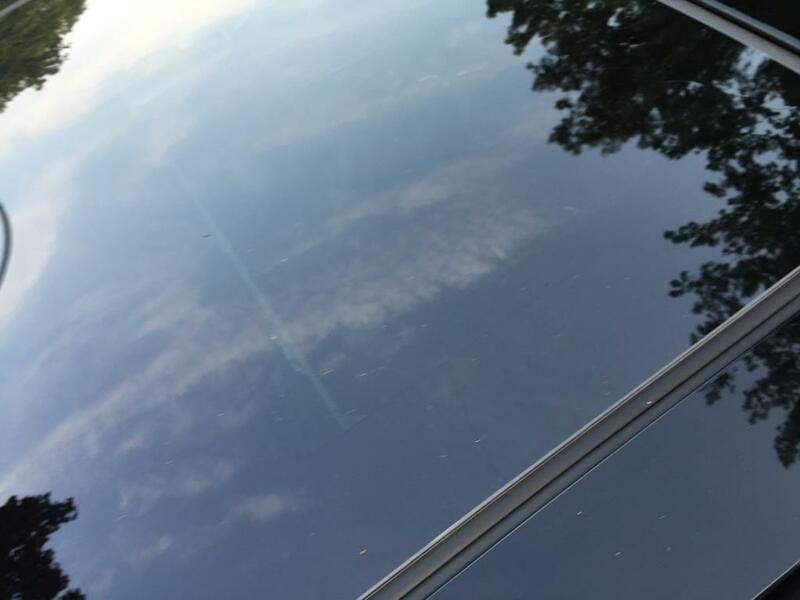 Noticed an odd crack in the rear panel of the panoramic sunroof. It needs to be fully replaced, but I have yet to contact the dealership to see what they will do. Update from Jun 20, 2016: Called dealership and was advised to bring the vehicle in.The service member took several pictures and told me they would have to wait to hear back from Ford as to whether it would be covered under warranty or not. As I arrived back home, the dealership called and said that Ford would, indeed,cover the repair under warranty. Waiting on the parts now. 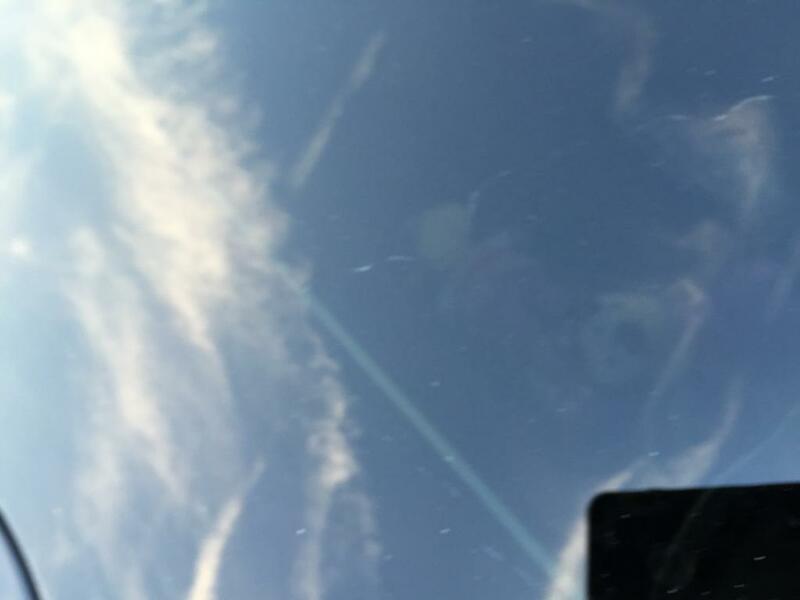 3 weeks off the lot to the day a new 2015 Ford Edge, after parking vehicle and as it was going to be a hot day, I open panorama roof and see the front glass of roof is cracked. Called dealer and was told to bring it in to service. They took pics and service guy said he's seen a couple of these and would contact Ford. Next day was informed it will be covered under warranty but will take several days to ship replacement glass. Thank you Ford for covering it. But...when I googled the issue, it appears to be an ongoing problem with this roof/window. Seems around 2000 mi. the thing just cracks for no reason, and some are not being covered by the company. My questions, will it happen again, be covered and be an ongoing issue? Only time will tell. On 30 Jun 15‚ my wife departed for work and the car was in perfect condition. She drove to work‚ picked up our child enroute home and did not drive to lunch that day. Upon arrival at home‚ she pointed out that the rear vista glass roof panel had cracked for no apparent reason. We dropped it off at Cowles Ford with the expectation the factory warranty or the additionally purchased extended bumper to bumper warranty would cover the issue. Cowles Ford informed us that Ford Corporate told them over the phone how to "test" for an impact area and based on their newly learned "test"‚ they determined it was a rock and an insurance claim instead. I disagreed because there are cracks throughout the entire glass and they do not intersect with the alleged point of impact. I asked my insurer (USAA) to have a claims specialist look in depth as well and she pointed out to the dealer that there are other areas that look the same as their alleged point of impact. They have not been able to answer my questions regarding how can a point of impact on one side of the glass have impacted the numerous other areas cracked as well. Yet despite having no answers‚ Ford Corporate trusts their newly found expertise to deny the claim at the dealership level. This is disingenous and I won’t stand for it. The dealer needs to back the claim or get Ford to provide a qualified expert that can support why the claim is denied other than a hunch and on-the-job training by phone.